Canada is home to iconic attractions that are known throughout the world such as Niagara Falls, the CN Tower and Banff National Park to name just a few. But did you know that it is also home to stunning places that you wouldn’t necessarily see in a guidebook? To really get under Canada’s skin, you’ll need to get off the beaten path and discover the secret places that only the locals know about. If you’re heading here on holiday and have already booked your cheap flights to Canada, then take a look at our infographic, which explores secret places that the locals want to keep for themselves. Known as the Islands of the People or the Queen Charlotte Islands, Haida Gwaii is a remote archipelago steeped in history and culture. Located just off the coast of Northern British Columbia at its most westerly point, these secret islands feel like another world as you can dive into their historic First Nations cultures. To see the historic totem poles and longhouses you will need to head to the village of Ninstints. 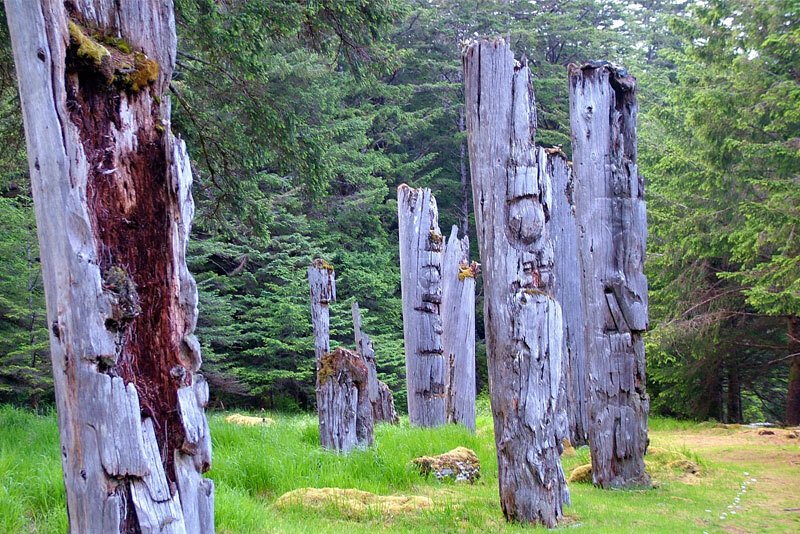 The remains of these totem poles are a lovely reminder of the ancient customs and traditions that are still evident in the area today and tell the story of the native communities’ connection to the Earth. This is one of Canada's most beautiful beaches, with three semi-circular white sand beaches that look more like something on a postcard of the Caribbean rather than the Atlantic Coast. The beach is secluded and quiet, and due to it being uncommercialised, unspoilt and undiscovered many locals call it the Cape Cod of the 70s. Carter’s Beach is more than just a beach as it is an outstanding example of a diverse ecosystem and habitat for at-risk species in Atlantic Canada. It has been known to provide a fantastic nesting habitat for the endangered piping plover, a small shorebird. It is also a great spot to go searching for sand dollars and see a variety of birds such as herons, short-billed dowitchers and greater yellowlegs. If you're visiting the Gros Morne National Park in Newfoundland, then we’d highly recommend you make the effort to hike along the nearby Lewis Hills trail. The route, which is just north of Stephenville and southwest of the famous Corner Brook, takes in stunning views across a series of hills, deep valleys and the peridotite mountain range. The stunning views are similar to the Tablelands in Gros Morne National Park. One of the highlights of the route is the ruggedly scenic Molly Ann Gulch, a steep fiord-like valley with gorgeous sunset views of the Gulf of St. Lawrence. Canada's second-northernmost island, just over 1,200km away from the North Pole, is also one of the most beautiful areas of the country. 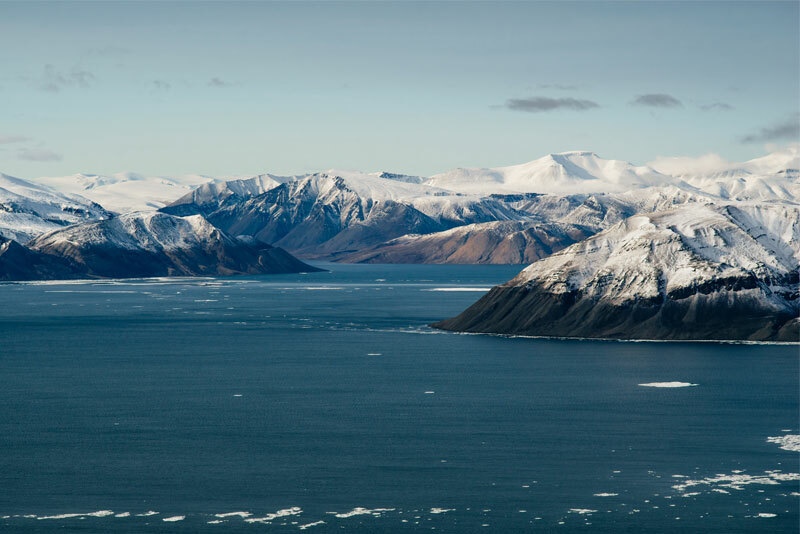 The hidden gem is home to multiple fjords, coastal bays and the Princess Margaret Range of mountains. One of the most fascinating attractions of the island is its Fossil Forest, located on the eastern side of the island. Here you’ll discover unique mummified tree stumps that are believed to be over 45 million years old. There have also been alligator and turtle fossils found on the island at Mokka Fiord. In the Fossil Forest, tooth fragments from an extinct, huge rhinoceros-like herbivore called a Brontotheriidae were found. So you should keep your eyes peeled during your trip here! The St. John River cuts across the little province of New Brunswick before emptying out into the mighty Bay of Fundy. On the west side of the river in the heart of the province, where it meets the Shogomoc Stream, you’ll find an eye-catching pedestrian bridge that is part of the Trans Canada Trail. The 265-foot suspension bridge opened in October 2011 and while it’s not a well-known attraction to outsiders, it’s loved by the locals. It is renowned as a great spot to go fishing and its fire pits and picnic tables draw families to relax and stop for lunch here when the weather is nice. 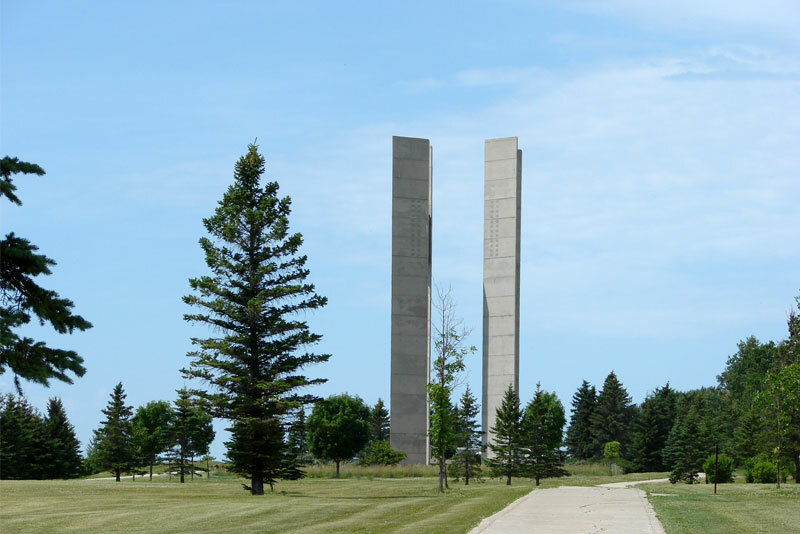 More than just flowers and a place for camping, the International Peace Garden is dedicated to peace. It celebrates the peace between the United States and Canada, and is the location for many fascinating attractions such as the North American Game Warden Museum and the Peace Chapel. The gardens are open year-round. During your visit here you should go and see the 18-foot working Floral Clock and the September 11 Memorial, which is built with 10 beams from one of the two World Trade Center towers. The International Peace Tower is also definitely worth visiting as its height (120-foot) symbolises the ambitions of the early immigrants arriving in Canada from the four corners of the world during the 1800s and 1900s. This hidden gem is unique as it lets you surf up in the mountains of Canada at landlocked Kananaskis Provincial Park in Alberta. Surfing is usually an activity you might try on a tropical beach, but instead, you can surf in the middle of winter on a river fed by glacier water with a backdrop of the snow-covered Canadian Rocky Mountains. This new-found surf spot is just an hour’s drive from Calgary or 45-minutes from Banff and was the brainchild of local business Surf Anywhere. The Thomas Fisher Rare Book Library, which is located at the University of Toronto, is home to hundreds of thousands of incredibly rare books that you can even touch. It is undoubtedly one of the most fascinating attractions in Canada, but amongst its 700,000 volumes of manuscripts, there are some collections that really do stand out. Shakespeare’s historical printings, the array of Alice in Wonderland editions and a collection of Charles Darwin’s work are just some of them. TOP TIP: Every month the library puts on special exhibits showcasing parts of its collections and this will help you decide which materials you should explore. Canada is home to so many stunning national parks like Banff and Jasper that Witless Bay Ecological Reserve often gets overlooked. 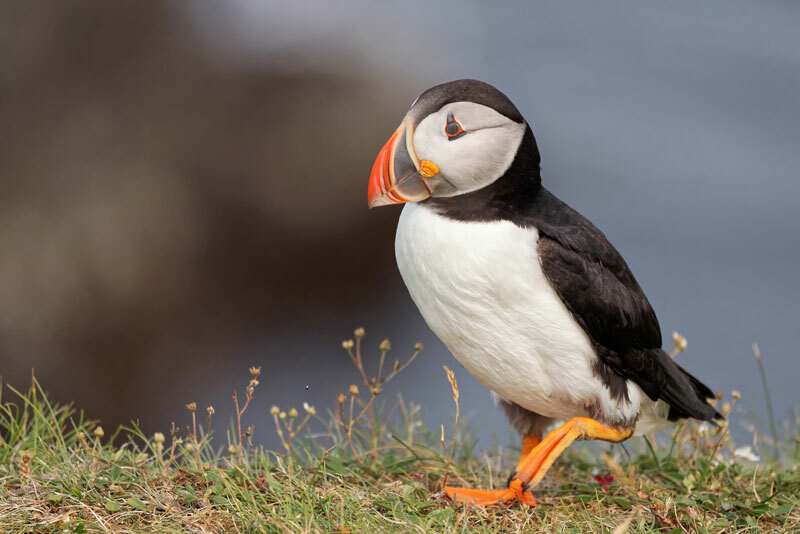 This reserve, however, is one of nature’s greatest wonders as the four small islands that make-up Witless Bay Ecological Reserve are home to millions of seabirds during the summer months. You can also see whales such as humpbacks and minkes swim here. With O’Briens Boat Tours you can get out on the water to see the majestic animals that call the area home. You could also spot icebergs and some beautiful rock formations whilst in the area. 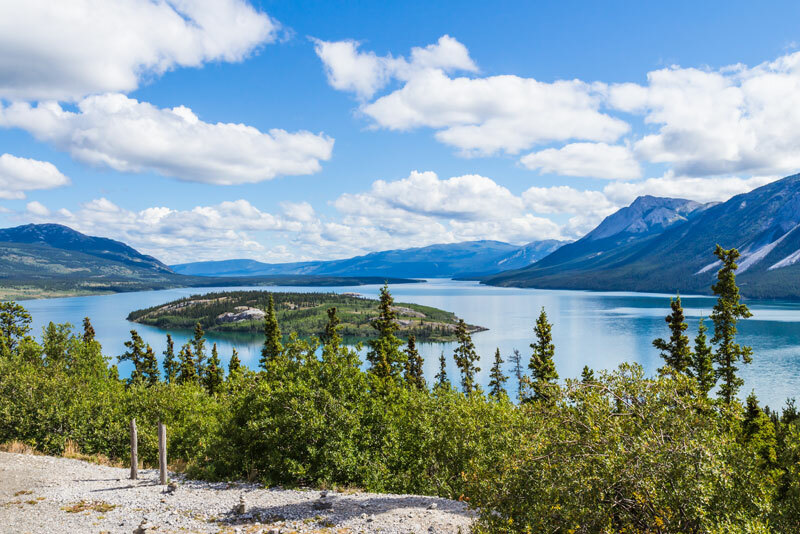 Named after Lieutenant Giacomo Bove, who was a famous explorer, this pretty island can be seen from a lookout on the South Klondike Highway between Carcross and Skagway in Yukon. Bove Island is located on the Tagish lake and is famed for its views of Mount Conrad, Nares Mountain and Lime Mountain. 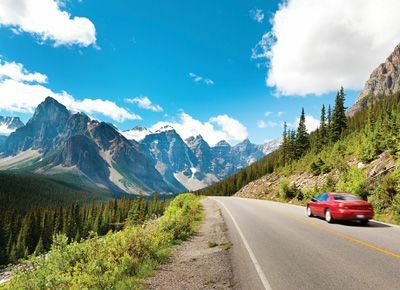 If you’re looking to rent a car in Canada, then the drive on the South Klondike Highway is never a dull experience! As well as the views of the lakes and mountains, you will discover small communities like Carcross, on the shore of Bennett Lake. The Southern Gulf Islands are another fantastic getaway spot in British Columbia. Nestled between Vancouver Island and the Vancouver Mainland, these islands are great for outdoor adventure with some beautiful walking trails through woods and on beaches. Located in the Strait of Georgia between Vancouver Island and the mainland of British Columbia, the Southern Gulf Islands include hundreds of islands and islets. The islands are known for their artists, wineries and their natural beauty. Boating, kayaking, hiking, camping and wildlife viewing are all possible. Cam & Nicole Wears, a Canadian couple who run the travel site Traveling Canucks, told us why they love the area so much: “Most visitors thinking of travelling to British Columbia, Canada, have their travels set on visiting Vancouver and/or Victoria – both amazing cities. 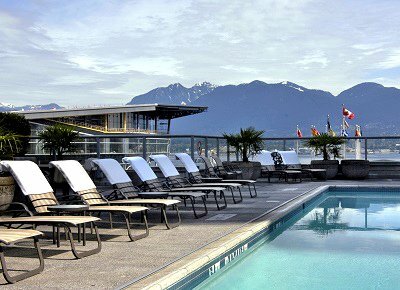 But, if you’re in the area, we suggest you plan for at least two extra days to spend at one of the local favourite destinations, The Southern Gulf Islands. "Travelling here will give visitors the feeling of being totally secluded and surrounded by nature. You can hike through a temperate forest and witness the morning fog hover over the tall evergreens. You can walk on along the beach, breathing in the crisp ocean breeze watching for seals as they pop their heads above water. You’ll see otters, seals, bald eagles, and if you’re lucky, you may even see a family of orcas pass by. Two of our favourites located in the Southern Gulf Islands are Galiano Island and Pender Island. 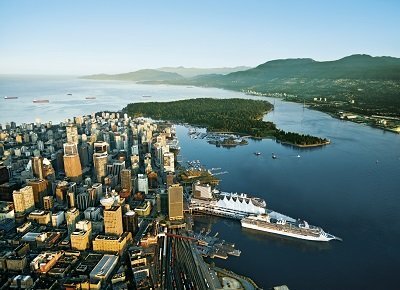 Both are less than two hours from either Vancouver or Victoria by ferry. If you chose to visit, for accommodations we recommend Galiano Inn and Spa on Pender Island, and Poet’s Cove Resort on Pender Island." Are you inspired to head to one of these secret locations? 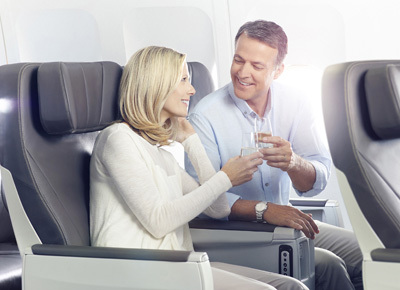 Then why not book your flights to Canada and browse our different holidays on offer?